I have been an Amateur Radio operator since August, 1993, when I earned a "Technician with HF Privileges" class license (as it was called at the time) and the callsign N1PVB. I upgraded to an Advanced class license in 1996, and held the callsign KM5FA for four years. I currently hold an Extra class license and the callsign WM5R. I am the current IARU Region 2 ARDF Coordinator. I am a former officer and former webmaster of the Central Texas DX & Contest Club. I've been a member of the American Radio Relay League since 1996, and I am a former president of the University of Texas Amateur Radio Club. I have always been drawn to the competitive aspects of amateur radio. I have been active at the US national level in the IARU sport format of Amateur Radio Direction Finding (ARDF) since the 2002 USA ARDF Championships in Pine Mountain, Georgia. Since then, I have been to almost all of the USA and IARU Region II ARDF Championships. I have been part of hosting two USA championships: in 2008, I was the chairman and organizing host of the USA ARDF Championships in Bastrop, Texas, and in 2016, I was the Meet Director of the USA ARDF Championships in Killeen, Texas. I have been to fiver ARDF World Championships, once as a juror and four times as a competitor for Team USA. I am the current Team Captain of the US ARDF national team. 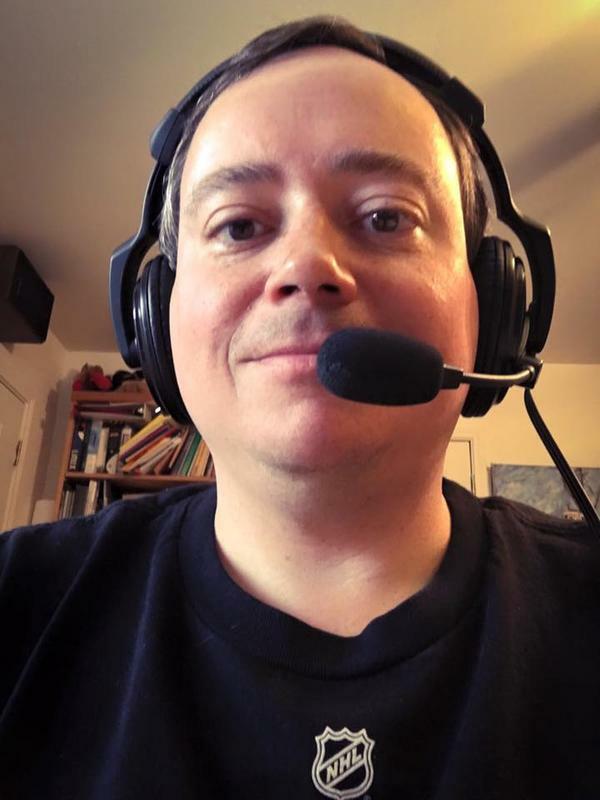 I am also an HF and VHF contester, with over 20 years of experience in a variety of on-air competitions, primarily as a phone (voice) operator. My early contest elmer was Robert KA5WSS, who organized the ARRL November Sweepstakes multi-operator contest efforts at the University of Texas Amateur Radio Club station. I soon found myself operating contests at the W5KFT Ranch Station near Lake Buchanan, Texas. My best results to date have been in the ARRL 10 Meter Contest, operating from the Hill Country contest station of my good friend George K5TR, where I have finished in the top five W/VE many years in a row, and won W/VE twice. I have also been a guest operator from the contest station of my friends Richard K5NA and Susan K5DU in rural Travis County, Texas. On HF, I enjoy the ARRL 10 Meter Contest, ARRL November Sweepstakes, the CQ World Wide WPX and CQ World Wide DX Contests, and the ARRL International DX Contests. On VHF, I enjoy the summertime 6 meter contests, especially the ARRL June VHF QSO Party. I maintain the contest records for the ARRL 10 Meter Contest, ARRL 160 Meter Contest, and the ARRL RTTY Roundup. I have been less active in contesting since becoming a father and becoming more serious about ARDF, but I try to operate at least one major contest (the ARRL 10 Meter Contest) a year. ARDF is a map-and-compass adventure sport that includes using handheld radio receivers with directional antennas to locate low=power radio transmitters in diverse, wooded terrain. As an Amateur Radio operator, and an active orienteer, ARDF is a natural fit to my interests. I have been active in ARDF for over 15 years, and I am the current Team Captain for the USA national ARDF team. For several years, I've maintained the record scores for the ARRL 10 Meter Contest. The records are re-calculated each year using a complete database of line scores from every year that the contest has been run. Many of the line scores were typed into a digital format from old print copies of QST by volunteers including K5OT, KG5U, and WM5R. The latest versions of the records are available on the ARRLWeb. I have over 20 years experience in contesting, including both VHF/UHF and HF events. I have had Top Ten finishes in the ARRL International DX Contest, Phone, M/2, and ARRL 10 Meter Contest, Phone, SOHP. I helped N5XU set the current West Gulf Division record score in the ARRL January VHF Sweepstakes, M/L. I also enjoyed helping N5XU take second place overall in the 1997 Collegiate Championship. I have generated a few maps of U.S. contesters using data from ARRL Contest Results and other sources. The maps show some interesting demographics of the different contests. Some of the data that the maps illustrate include transmit power, entry class, and top ten scores. I've taken a few photos of some of my Amateur Radio activities. Some of these photos have been taken with a simple, 35mm camera, and scanned by Kodak when the film was developed. Others were taken with a Fujifilm FinePix 2400Z digital camera. One of my photos has been featured on the cover of the National Contest Journal and on the ARRLWeb. I am currently driving a 2007 Honda Civic EX sedan. For amateur radio use, I have installed an Icom IC-706MkIIG transceiver, an Icom AH-4 antenna tuner, and two vertical antennas on the trunk. The objective of the installation was to utilize antennas that can remain affixed to the car at all times. My Elecraft K2/100 was purchased Friday May 16, 2002 at the Dayton Hamvention. It is fully-loaded with the K160RX, KSB2, KNB2, KAF2, KPA100, and MH2 options, as well as several modifications. In April, 2003, it was upgraded to Revision B. I have more recently added Transverter support and now use the rig primarily as the IF for 50 MHz and 144 MHz Elecraft transverters. I enjoy working DX stations on the VHF/UHF bands using SSB and CW modes. Over the summer of 1996, I helped N5XU earn VHF/UHF Century Club (VUCC) status on 50MHz, by contacting other Amateur Radio stations in over 100 different "grid squares." I have had a blast working distant DX station on the HF bands, especially during contests. I am no longer actively pursuing DX outside of contesting, and most of my contesting has been at other stations and has not been using my own call sign. I am a member of the DX Century Club (DXCC), have Worked All States (WAS) , and I continue to work toward Worked All Zones (WAZ) and Worked All Japanese Prefectures (WAJA). With fellow graduate student Adrian Agogino, I developed this software as a class project in 1996. This is a rapid prototype of a useful visualization tool that could aid antenna designers in better understanding the nature of radiation fields associated with antennas. In 1998, I built a Super CMOS Keyer III for the VHF contest station at N5XU. The Super CMOS Keyer III does not have a PTT output, but Dale Martin KG5U suggested a circuit that, when added to the keyer, would do the next best thing. I've written a program that reads in Cabrillo format files and computes eight different contest scores based upon eight different scoring formulas for each log. Output is in space or comma-delimited format, suitable for import into spreadsheets and other data analysis software. This is a bibliography of the Amateur Radio journal articles and online articles I've had published, and a listing of the newsletters and online media I have edited or published on Amateur Radio topics.